Situated in an almost unbeatable location, Mountainside Palace guests can enjoy Western comfort with touches of Japanese culture. Your morning begins with either a 30 seconds walk to the free shuttle bus or if you fancy stretching your legs before a long day on the hill, a 5 minute walk up to the closests ski lift in Hirafu. 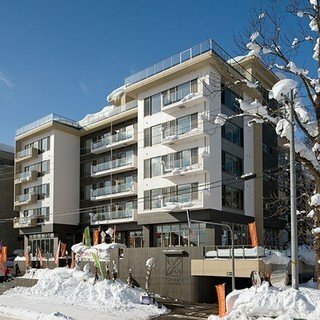 Whether you spend your days chasing Niseko's famous powder or achieving your first turns on the green slopes, return for some relaxation in your cosy living area with views of either the Hirafu ski hill or Mt. Yotei. There are plenty of dinner options right on your doorstep, so head downstairs tackle to the challenge of choosing from the numerous fantastic choices. "Beautiful, very modern unit; perfect two bedroom with two full bathrooms, with a third toilet. 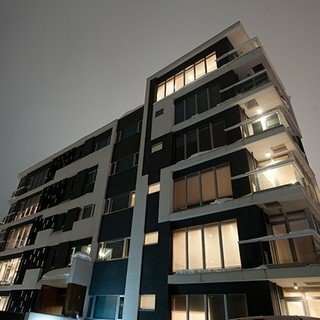 Quiet, only 3 units per floor. Right in the middle of town; walking distance to anything in Grand Hirafu. Shuttle bus stops (both ways) 50 yards away." 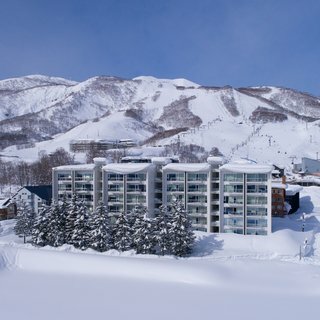 "Outstanding service from Vacation Niseko. Everything was organised, Mountainside Palace was excellent and in a great location. Lots of great restaraunts nearby. The 2 bed Apartment was first rate. Would highly recommend and stay again." "We stayed in 2 bedroom apartment Jan 2018. Very comfortable, and had two ensuites. Close to all the restaurants, and easy walk to family ace chair lift every morning." "Great location. Apartment is fully equipped with very user friendly appliances and gadgets to assure you of a very comfortable stay!"